This Website is offered and available to users who are 18 years of age or older or children if they are supervised by an adult at all times. By using this Website, you represent and warrant that you are of legal age to form a binding contract with the Company and meet all of the foregoing eligibility requirements. If you do not meet all of these requirements, you must not access or use the Website. 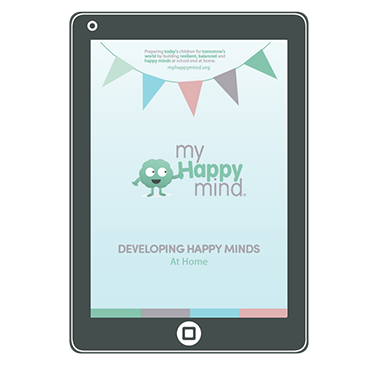 These terms and conditions govern your use of this service MyHappyMind.com and all of the Company’s services and mobile apps as may be released by the Company from time to time (hereinafter the “Services”). The Company provides the Services “as is” and may provide updates, improvements to existing or introduce additional Services. We reserve the right to modify, replace, suspend or discontinue the Services or any part thereof as well as any pricing in our sole and unrestricted discretion. Changes shall be effective upon posting on our website or by direct communication to you. Your continued use of the Services following any such change constitutes your acceptance of the Terms and Conditions as so modified. In order to access the Services, you first must register as a member (“Member”). Any information provided by you must be true, accurate, current and complete at all times. Registration requires a valid email address (which will serve as your user name) and unique password. Please keep your user name and password confidential to prevent unauthorised access to your information. If your user name or password is subject to unauthorised access, you should immediately inform the Company. We may for any reason require you to change your user name and/ or password or other information which facilitates access to the Services from time to time. We reserve the right to cancel your username and password without notice if the Company becomes aware of any breach of these Terms and Conditions by you. You must not use our Services for anything unlawful or prohibited by these Terms and Conditions. We do not warrant the accuracy or efficacy of the Services or any part thereof. Under no circumstances will we be liable in any way for any information we provide on or through the Services, including, but not limited to, any errors or omissions in content and information, be it text, software, sound, imagery, graphics, video or otherwise (hereinafter “Content”), or any loss or damage of any kind incurred in connection with use of or exposure to any Content made available in any way in or via the Services. You must only use the Services if you are of legal age or have your parent’s permission to do so. We shall be entitled to assume such permission by the use of means of payment used to access certain parts of the Services. You also certify that you are legally permitted to use and access the Services and take full responsibility for the selection and use of and access to the Services. This agreement is void where prohibited by law, and the right to access the Services is revoked in such jurisdictions. If you link to the Services, we may revoke your right to so link at any time, at our sole and unrestricted discretion. We reserve the right to require prior written consent before linking to the Services. You shall indemnify and hold the Company, its affiliates, officers, agents and employees harmless (including, without limitation, from all damages, liabilities, settlements, costs and including reasonable legal fees) from any claim or demand made by any third party due to or arising out of your access to the Services, use of the Services, your violation of these Terms and Conditions, or the infringement by you or any third party using your account of any intellectual property or other right of any person or entity. If you are registering with our Services as a business, you represent that you have the authority to legally bind that entity, partnership or otherwise. If you are trading as a business, you must comply with and you are responsible for all laws applicable to your business. Our fees correspond to membership tiers to which you can subscribe. 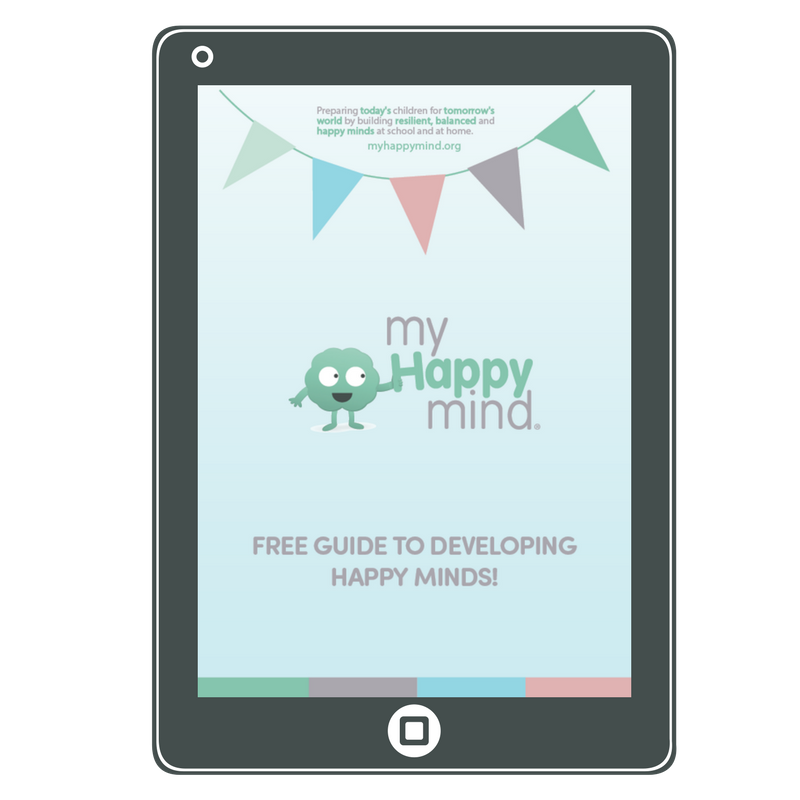 You can find more information on https://myhappymind.org/pricing/. We will charge fees in advance of any subscription period until such subscription is terminated. We may also charge transaction charges. Unless otherwise indicated, all fees are in British Pound Sterling (GBP). We reserve the right to withhold access to the Services if any fees have not been cleared by our payment providers. All Content provided through the Services, any advertisements or other content, delivered through the Services shall be the Company’s, its partners’ and/or advertisers’ property and may be protected by copyrights, trade and service marks, patents, or other proprietary rights. You shall abide by all such rights and related restrictions, and except as expressly permitted in writing by the Company, you shall not use, copy, reproduce, modify, translate, publish, broadcast, transmit, distribute, perform, upload, display, license, sell or otherwise exploit for any purposes whatsoever any Content or other third party contents. We reasonably suspect fraudulent, abusive or illegal activity by you. Should you object to any of these Terms and Conditions, or any subsequent changes to them, or become dissatisfied with the Services in any way, your only recourse is to discontinue to access and use the Services. 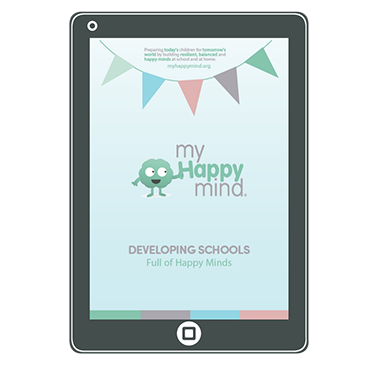 You may cancel your membership at any time the respective device app store or – should you have purchased the Services via the Company’s website by emailing a respective notice to hello[AT]MyHappyMind.co.uk from your registered email address. Cancellation will take effect from the next payment period and you will not be entitled to a refund for any fees already paid. The Company has no special relationship with or fiduciary duty to you. You acknowledge that we have no control over, and no duty to take any action regarding which users gain access to the Services, what Content you access via the Services, what effects the Content may have on you, how you may interpret or use the Content, or what actions you may take as a result of having been exposed to the Content. You release the Company from any and all liability for you having acquired or not acquired Content through the Services. The Services may contain, or direct you to services containing, information that some people may find offensive or inappropriate. THE SERVICES, CONTENT, AND ANY SOFTWARE ARE PROVIDED ON AN “AS IS” BASIS, WITHOUT WARRANTIES OF ANY KIND, EITHER EXPRESS OR IMPLIED, INCLUDING, WITHOUT LIMITATION, IMPLIED WARRANTIES OF MERCHANTABILITY, FITNESS FOR A PARTICULAR PURPOSE, NON-INFRINGEMENT, OR THAT USE OF THE SERVICES WILL BE UNINTERRUPTED OR ERROR-FREE. IN NO EVENT SHALL THE COMPANY OR ITS SUPPLIERS, OR THEIR RESPECTIVE OFFICERS, DIRECTORS, EMPLOYEES, OR AGENTS BE LIABLE WITH RESPECT TO THE SERVICE OR THE SERVICES OR THE SUBJECT MATTER OF THIS AGREEMENT UNDER ANY CONTRACT, NEGLIGENCE, TORT, STRICT LIABILITY OR OTHER LEGAL OR EQUITABLE THEORY (I) FOR ANY AMOUNT IN THE AGGREGATE IN EXCESS OF THE GREATER OF THE FEES PAID BY YOU FOR THE SERVICES PURCHASED THROUGH THE SERVICE DURING THE SIX-MONTH PERIOD PRECEDING THE APPLICABLE CLAIM; (II) FOR ANY SPECIAL, INDIRECT, INCIDENTAL, PUNITIVE, OR CONSEQUENTIAL DAMAGES OF ANY KIND WHATSOEVER; (III) FOR DATA LOSS OR COST OF PROCUREMENT OF SUBSTITUTE GOODS OR SERVICES; OR (IV) FOR ANY MATTER BEYOND COMPANY’S REASONABLE CONTROL. SOME STATES DO NOT ALLOW THE EXCLUSION OR LIMITATION OF INCIDENTAL OR CONSEQUENTIAL DAMAGES, SO THE ABOVE LIMITATIONS AND EXCLUSIONS MAY NOT APPLY TO YOU. The Company reserves the right to amend and alter these Terms and Conditions and any Content or information contained within the Services at any time with no prior notice to you. In the event these Terms and Conditions are altered the Company will post the amended Terms and Conditions on the Services. Changes will apply from the date of posting. Whilst we will attempt to provide uninterrupted access to the Services, we reserve the right to withdraw, modify, discontinue or temporarily or permanently suspend the Services in whole or in part. We will try, where possible, to give reasonable notice of the Company’s intention to do so. We reserve the right to withhold, remove and or discard any Content available as part of your membership, with or without notice, if deemed by the Company in its sole and unrestricted discretion to be in violation of these Terms and Conditions. We have no obligation to store, maintain or provide you a copy of any Content that you provide when using the Services. Any failure to exercise or enforce a right under the Terms and Conditions by the Company shall not constitute a waiver of such right or provision. If any provision of these Terms and Conditions is found to be invalid, such provision shall be deemed severed and the validity and enforceability of the remaining provisions shall not be affected. The invalid provision shall be deemed replaced with such valid provision(s) that the Parties would most likely have agreed had they taken the invalidity into account. These Terms and Conditions shall be governed by and construed in accordance with the laws of England, without regard to the conflict of laws provisions thereof. To the extent permissible by law, the parties submit to the exclusive jurisdiction and venue in the United Kingdom. These Terms and Conditions set out the Company’s entire agreement and understanding with respect to the subject matter of these Terms and Conditions and supersede all representations, communications, and prior agreements.